We can also deliver on a later date you specify in your order. A great new twist on the underrated carnation! 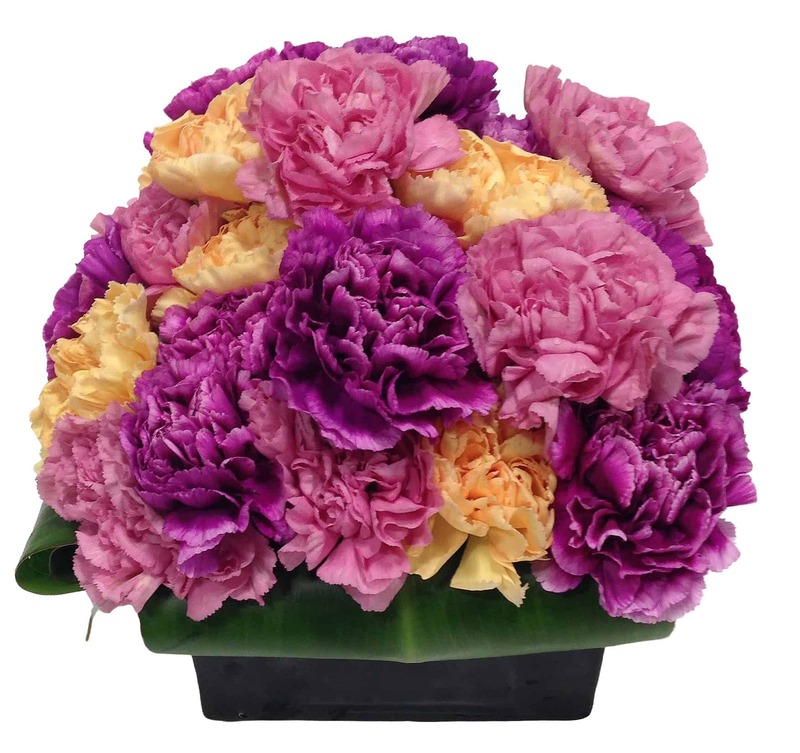 Soft-toned Carnations "En Masse" for a very contemporary look with rolled tropical leaves on the side! What better way to add color to your home? This arrangement comes housed in a darker matte finished ceramic vase. It's perfect for your home decor as well as a beautiful gift to say, "Thank You" or celebrate a happy occasion! I intially wanted to send the arrangement later the next day, and called to see if Podesta could manage it. The person on the phone was very friendly and helpful and said they could. I decided against sending the next day and instead had them sent the same day. I was impressed that the order was processed and delivered so promptly. I saw the arrangement, and it looks fantastic in photos, but, in real life, the quantity and mass of the carnations does look a little weak. I am used to ordering extravagent arrangements with Podesta in the past. Now, I needed to economize a little, and, even with my expectations adjusted, I was still a little disappointed. It seems if you go grand, they really push to make it seem really spectacular, but, with more modest arrangements, it seems every economy is taken and it falls a little short. It was still a beautiful and well-crafted arrangement, it could have just used one or two more blooms!